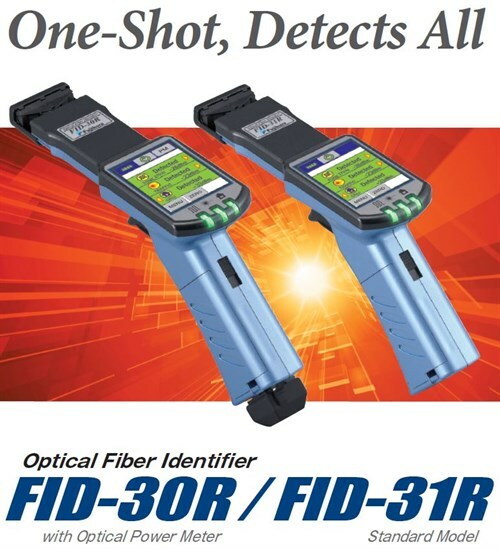 Fujikura delivers leading edge and established fibre optic technology and integrated service solutions. As the world migrates toward a fibre optic infrastructure, Fujikura is uniquely poised for the growth of FTTx markets. Fujikura’s flexibility and vast knowledge of technology and network solutions will support your new infrastructure to deliver the quality services your customers demand. Fujikura offers first class after sales service and maintenance programme with an unsurpassed knowledge of end-to-end, cost-effective solutions for customers. Fujikura - Global Leaders in Advanced Technologies. Fujikura is a global technology leader providing a wide range of Electrical and Optical products for diverse markets around the world. We are well known for providing high quality Optical Cables, Fibres, Splicers and connectivity solutions to the telecoms market. Our high quality products are pioneering ways in specialist technologies particularly Medical Imaging Fibres, Radiation Resistant Fibres, Fibre Laser products and includes advanced electrical technologies such as Superconducting wires. Fujikura has been represented in Europe for over 25 years, and established the European base of operations in Surrey, south west of London. Throughout the year we offer a free 'Introduction to Fibre Optics', with training days held six times a year for learning the basics on fibre, splicing and testing. To attend a training day you will need to visit our head office in Surrey. Training days are open to anyone with an interest in the industry. IT Specialists, decision makers, management, buyers, installers and test engineers. 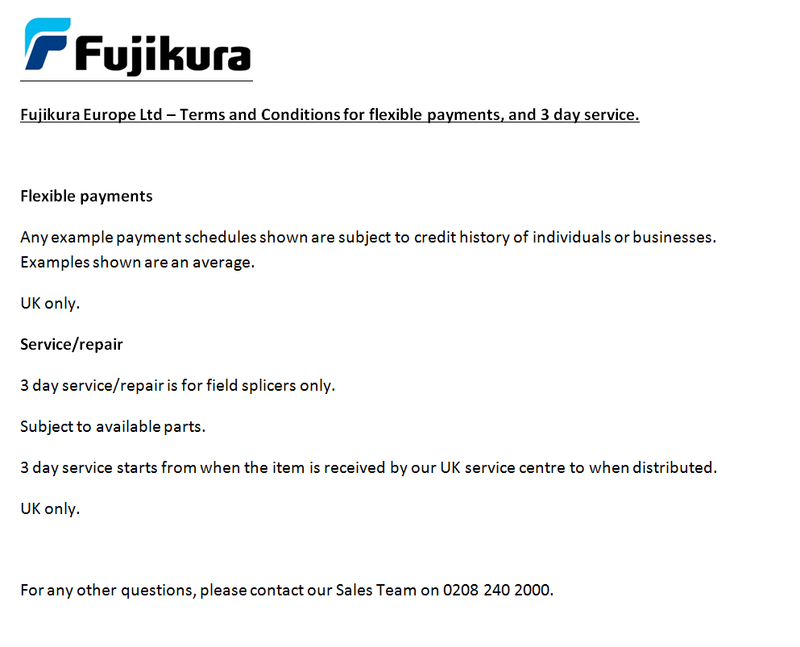 For more information or to book a place please email Fujikura Training or call +44(0)208 240 2000. We recognise the importance of low prices, great products and after-sales care. Fujikura have invested heavily in a first class technical Service Centre at its head office in the UK, with quality and service levels second to none. Our highly trained Engineers have expertise to support all Fujikura products including Fusion Splicers, plus 'AFL Noyes' test and measurement equipment. We offer a 3-Day Turnaround for all service/repairs on field splicers*. Support includes maintenance, calibration services, warranty repairs (AFL Noyes test equipment) and telephone technical advice. Our Service Centre is equipped with the latest test equipment to an industry recognised standard. All splicers now have 3 years warranty as standard with the option of extending to 5 years. Below are a selection of our most popular products.